Thirty-five kilometres east of Bali at its closest point, Islamic Lombok (80km by 70km) is populated by Sasak people. It differs considerably from its Hindu neighbour, with lots of wide-open spaces and unspoilt beaches, and much less traffic and pollution. Tourist facilities are less widespread and public transport sparser. 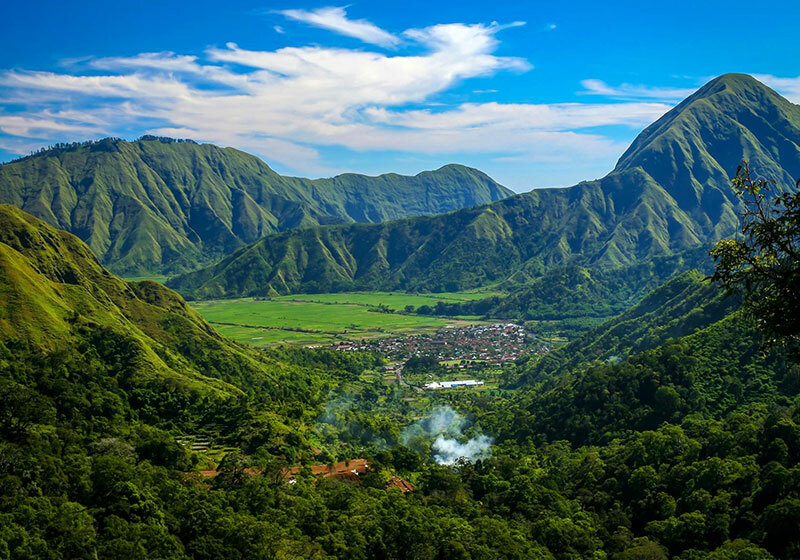 The island’s northern area is dominated by the awesome bulk of Gunung Rinjani, and trekking at least part of the way up is the reason many tourists come to Lombok. Short Description: Lombok is an island in the West Nusa Tenggara province of Indonesia. It is part of the chain of the Lesser Sunda Islands, with the Lombok Strait separating it from Bali to the west and the Alas Strait between it and Sumbawa to the east. Sam Poo Kong, also known as Gedung Batu Temple, is the oldest Chinese temple in Semarang, Central Java, Indonesia.